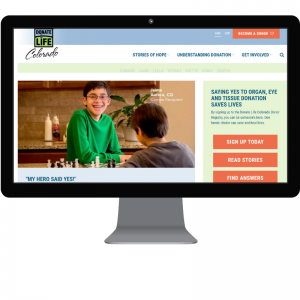 Our local registry websites DonateLifeColorado.org and DonateLifeWyoming.org, have a new look! The new and improved website provides streamlined information in efficient infographic style, is easy to navigate and full of essential information. 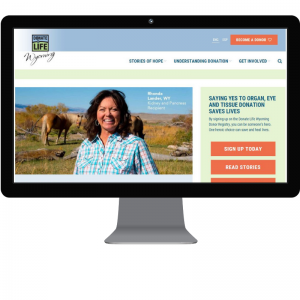 Find stories of hope, donation facts and stats, local and national resources and the link to sign up to Become a Donor! The site will be a great resource for those wanting more information about donation and to sign up quickly and easily to be an organ, eye and tissue donor. Check out the new sites, let us know of any suggestions and spread the word!